Warning: This mod is still in development and bugs may be present. Ensure you back up your worlds before proceeding to use this mod. NOTE: This mod requires the Obfuscate library in order for it to run! MrCrayfish's Vehicle Mod is the only vehicle mod you'll ever need! This mod aims to replicate real life physics while still making it have that arcade feel. Attention to detail is an up most importance, so you'll find highly detailed models, custom animations, and the option to colour them however you like. That's not even the best, a new vehicle is added every week! So what are you waiting for, download this mod now! 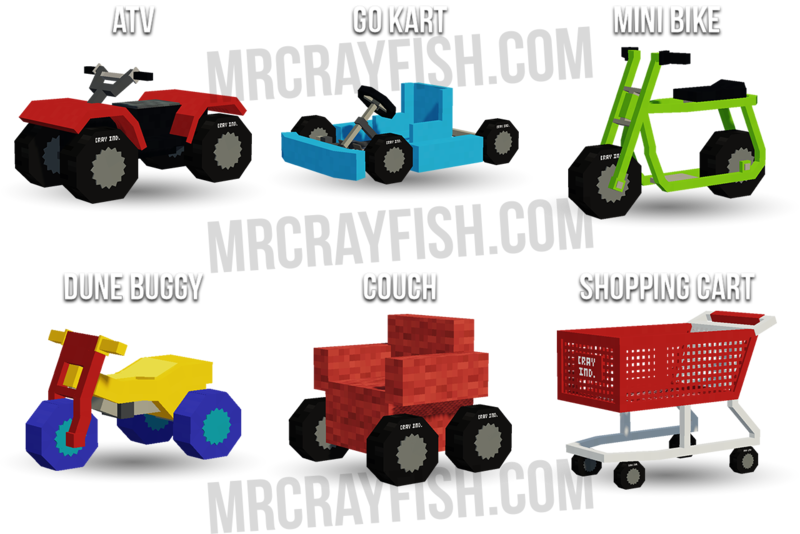 As this mod is still in development, to use the vehicles you will need to spawn them in! /summon vehicle:<id> Use the Workstation to craft vehicles or Vehicle Crates now to spawn vehicles. Oh yeah I watch your youtube channel by the way. There will be a config option in the future to enable this. 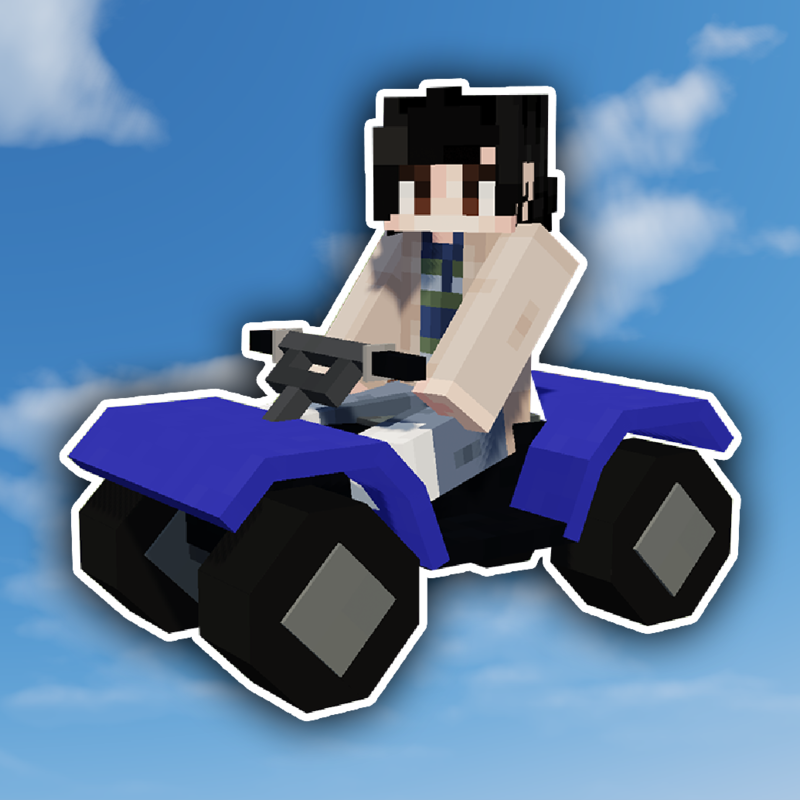 The ID of the ATV has change to just "atv"
Hello! This mod is very good! I want to repost this mod to MCBBS the largest minecraft forum in China.I think Chinese guys will like it very much. I will link to Curse. why you didnt put the mod in the website i want to play because i think mod is fantastic. HARRY UP!! Because he specifically wanted it to be here for curseforge... I'm also guessing faster download? I'm loving the model, a good balance between minecraft blocky without having completely square wheels etc. I'd love to see a video of how it controls too!